Mash the 2 ripe bananas with a fork in a bowl. Add almond flour, eggs, blueberries, vanilla extract, cinnamon powder, baking soda, pinch of salt to bowl. 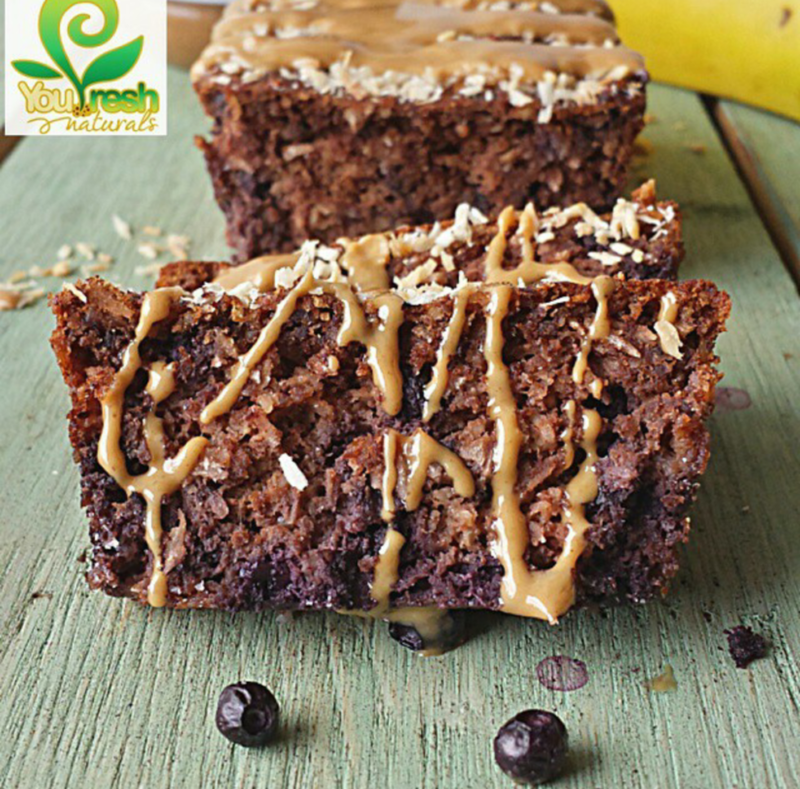 This entry was posted in Recipes and tagged Banana recipes, Blueberry Banana Bread.